Today we have two New Xbox Live Releases once again. First up is Space Shooter Yar's Revenge and RPG/Puzzle game Might & Magic. 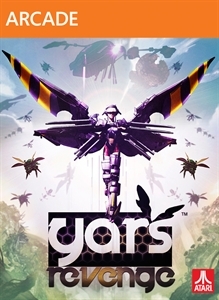 Yar's Revenge will cost 800 MSP ($10), and Might & Magic will set you back 1200 MSP ($15). 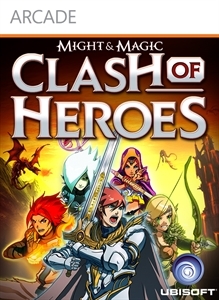 "The award-winning Might & Magic Clash of Heroes is now on XBLA! Live the epic adventure of 5 young Heroes leading their armies to save the world of Might & Magic. Discover a unique mix of RPG and puzzle battle mechanics and experience brand new online and local battle modes for up to 4 players. - Enjoy a 20 hour campaign in the rich Might & Magic universe and learn devastating combos! - Master 10 Faction heroes and spells, 40 creatures with unique abilities and more than 50 artifacts. - Challenge your friends online or offline, in 1 vs 1 or in the brand new 2 vs 2 cooperative mode. - Grow from young hero to fully fledged champion in the exclusive online ranked battle modes."